What happens when you mix two teaspoons of freedom, an ounce of desire to standout, and a pound of invincibility? Unfortunately, more often than not you get a college student in the hospital. Whether binge drinking, attempting an ill-advised prank, or one of the dozens of other foolish things done by students, the common denominator is self-destruction. Claire DeRoin first met “Soccer Mom” at a party. Mom was on the floor passed out and had no comment after. Dan Corey is leaving KTIV for greener pastures hopefully. Not wanting to start off on the wrong foot, Corey also declined to share the details of a binge. Going to college can be a stressful time so it’s hardly surprising that many students fall victim to self-destructive behavior. Chances are that you or your dorm mates know someone who has engaged in some sort of negative behavior, especially after midterms or finals where stress levels are at their peaks. Tune into any media outlet and you’ll see the stereotype of what a college student is supposed to do. Below is a brief sampling. 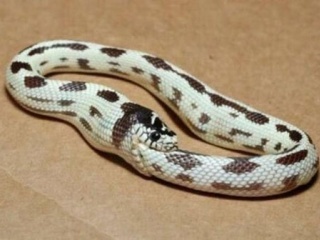 Remind you of anyone you know? Nothing is more alluring to a Latin woman then a Spanish-speaking white male. I had proven this fact in several quaint Baja towns and after leaving El Farallon that night was proving it again. Prior to heading to my place, we stopped in for a quick bite at a popular Mexican restaurant I frequented. Similar to La Juanita’s here in Sioux City it had great authentic food, but you didn’t want to be there after dark. I was a regular though, so I gave it little thought. While we sat there enjoying each other’s company a young chunti approached. His eyes were glossed and immediately I could tell he was zooted. He asked if we could talk in the bathroom. I assumed he was angry at the fact a guero had stolen one of their own. But I was a young brash Marine fresh out of MCMAP training and he was coked-out. What did I have to lose? The sound of my cries or more likely the fear of prison caused four of them to immediately flee the scene. The owner of the gun knew his fate was sealed though, so he continued to fight at first. Yet reality set in and he headed for the door. The cops wouldn’t arrive soon enough to catch them, so I followed in pursuit knowing that a license plate number and escape direction would be helpful. He turned to me and again pointed his unloaded gun and pulled the trigger. The muzzle flash and whizzing sound at my ear stopped me dead in my tracks. I turned as if in a dream and stood there as the glass cracked around the fresh bullet hole. There is a God –This I believe. Both men also noted that the film was, “a thriller with ideas,” bestowing it with their coveted two thumbs up. After watching Gattaca, I couldn’t agree more. 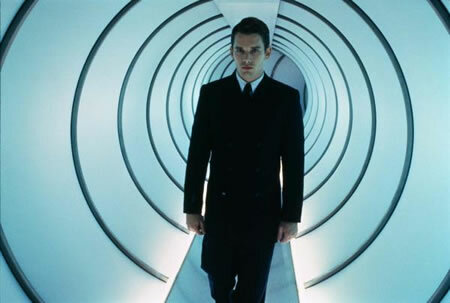 Set sometime in the near future, the sci-fi thriller Gattaca stars Ethan Hawke as Vincent Freeman, a “Godchild” (or natural birth) whose only goal is space travel. Unfortunately for him as a Godchild or “In-Valid” he is a genetically inferior man in a society where the prerequisite for such a mission is perfection. His limitations prohibit him from service at the astronaut-training program “Gattaca” in any capacity except cleaning it. Yet by assuming the identity of Jerome Marrow (Jude Law), and his second to none genetic profile, Vincent’s deception and persistence lead him to the cusp of his dream – a manned mission to the moon of Saturn. Directed by Andrew Niccol and released in 1997, this PG-13 tale keeps you on the edge of your seat. More notable than the plot itself is the films star-studded cast. Throughout the story I caught myself trying to recollect where I had seen several of the actors and actresses prior. Films like Billy Madison and television shows like Monk immediately came to mind. If pop culture is your thing, then definitely try and place this cast with their other “claims to fame” and see how many you can guess. Notwithstanding, I enjoyed the flow and suspense of the film, which never ran off course and always kept me engaged. Though I’m not generally a fan of the science fiction genre I found Gattaca extremely compelling. The genetic science in Gattaca is probably possible by today’s standards and it got me thinking. If parents could order perfect babies would they or more importantly should they? It does get you thinking about the possibilities of such a choice and the medical ethics that coincide. Fortunately for us, life (in this case) has yet to imitate art – or at least we hope. Three and half stars. Worth the time to watch.